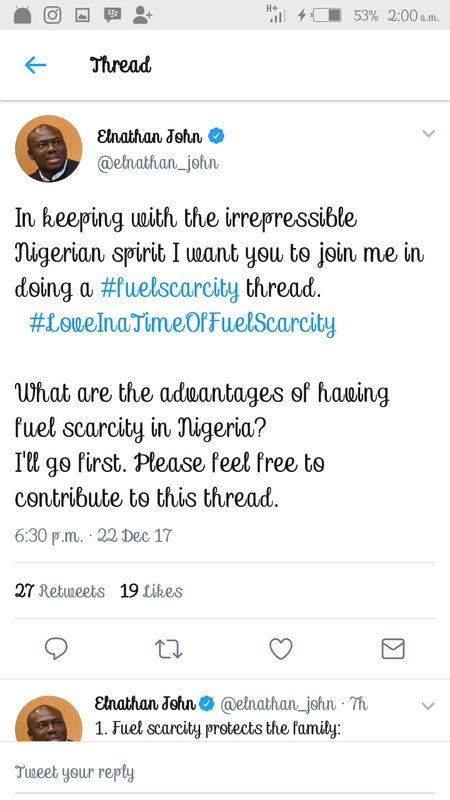 Nigerians will always make the best out of the worst situation. 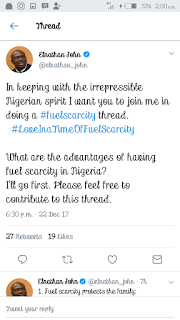 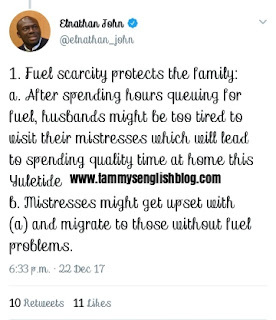 I never knew fuel scarcity or gas shortage (in Standard English) has advantages until I came across Elnathan_John's tweets. 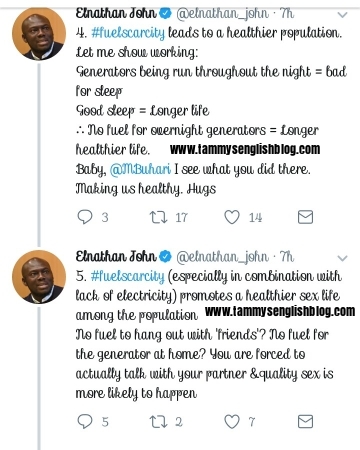 I know it is very annoying to speak of the advantages of a problem every Nigerian is currently facing, but you should know that life is too short for you to bother yourself with societal problems. 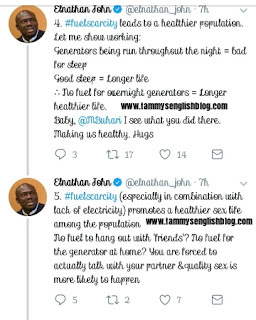 Therefore, I urge you to lighten up and share in Elnathan_John's sense of humour. 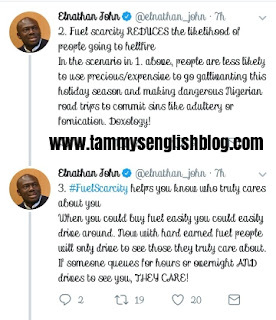 Below are his five advantages of fuel scarcity (gas shortage).